The DWL small vase by Holmegaard is a really graceful and original object, an item that interprets beauty of glass in an unusual and pleasant key. After all, Holmegaard is a Danish brand with high experience in the field of glass processing, capable of combining quality and aesthetics. 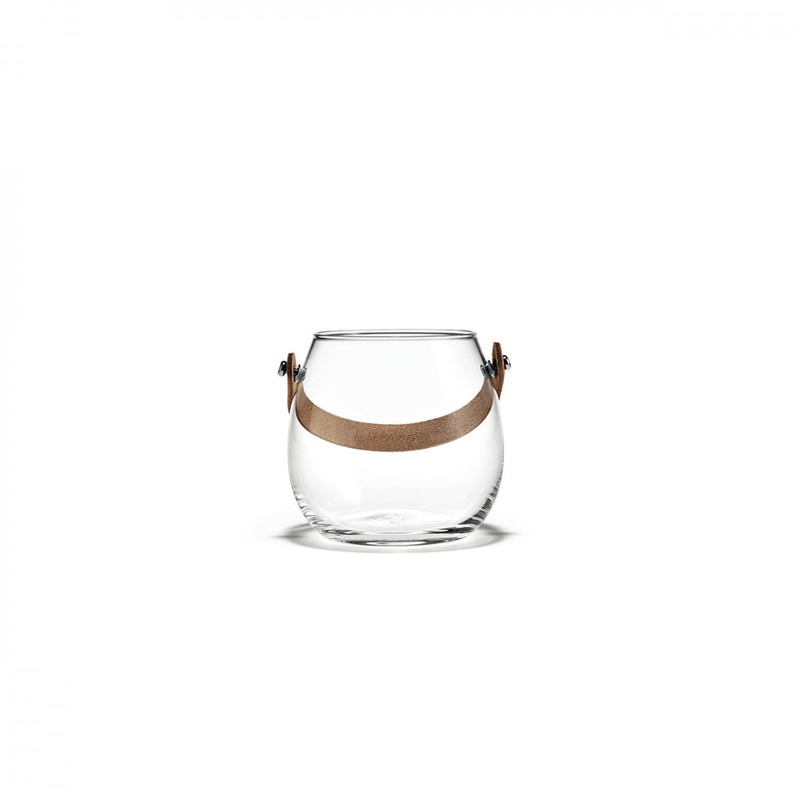 This small vase features the classical clarity of glass, has an original form with smooth and delicate lines and has also a particularly unusual and elegant leather handle. The DWL small vase by Holmegaard is the creation of the designer Maria Berntsen, professional who has always had an innate passion for glass and its typical brightness, and who wanted to be inspired in her creation by the typical Scandinavian design. 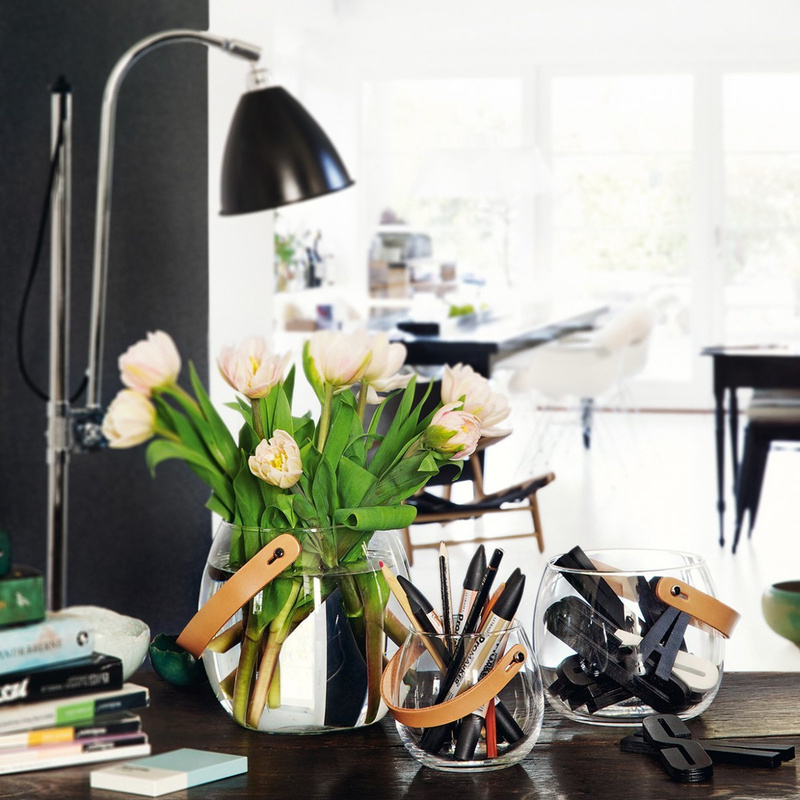 The clean and simple style of this glass vase does not go unnoticed, and lends itself to many different uses. You can definitely free your imagination for what concerns how to use this wonderful vase by Holmegaard: the DWL glass small vase can be shown empty or filled with dried flowers, coloured pebbles, petals or fresh flowers; moreover it could be use as a practical pen holder: in any case it will guarantee a beautiful effect, whatever function it will play. Its greatness, in fact, lends itself to several uses. This vase can be placed on any surface, even on those relatively narrow, thanks to its small size, the same way you can use its leather handle to place it on a stand, thus recreating a highly original design solution. It would be a wonderful idea to associate the DWL small vase to other similar models: Holmegaard, in fact, also proposes this article in different sizes.